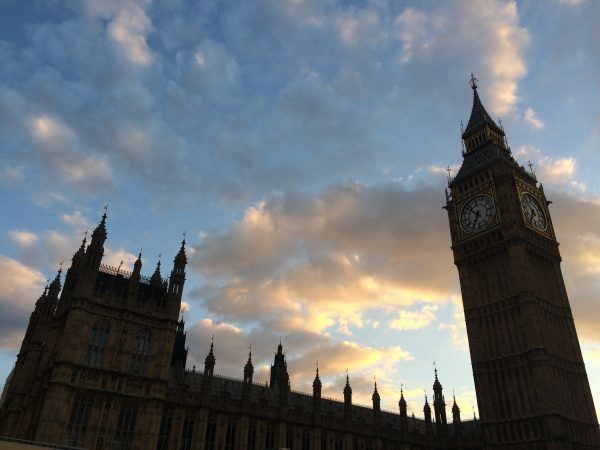 Buckingham Palace, The Changing of the Guard, Big Ben and Tower of London are iconic must do experiences but there is also Churchill’s War Room, Westminster Cathedral, the British Museum, London theater and fabulous and inexpensive walking tours suited to a variety of interests. 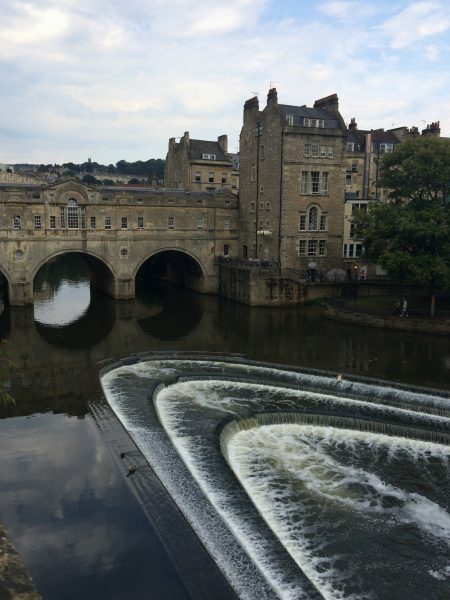 Outside the city you have a wealth of day trips and options whether you’re a Beatles buff thirsting for Abbey Road and Liverpool, curious about prehistoric civilizations, wish to explore an English castle, visit Oxford University or stroll through charming villages and English Country Gardens. It’s all available a few hours from London. 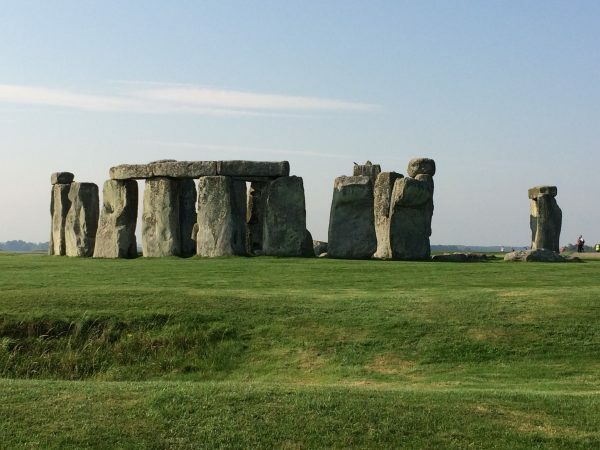 Some of my favorite London extensions are Stonehenge, Bath and the Cotswolds. These can easily be done as a day trip from the city but if time permits, a multi day add on is even more enjoyable. Another popular option is to pop over to Paris via the chunnel or combine Ireland, Scotland and England for a more in depth visit to the British Isles. When planning a trip to Europe the best approach is to start by listing what you’d like to see and do, set priorities, think about your overall budget and save trains, planes and automobiles for the next step. Another recommendation is to plan at least 3 nights in each destination and make location your #1 criteria for choosing accommodations. 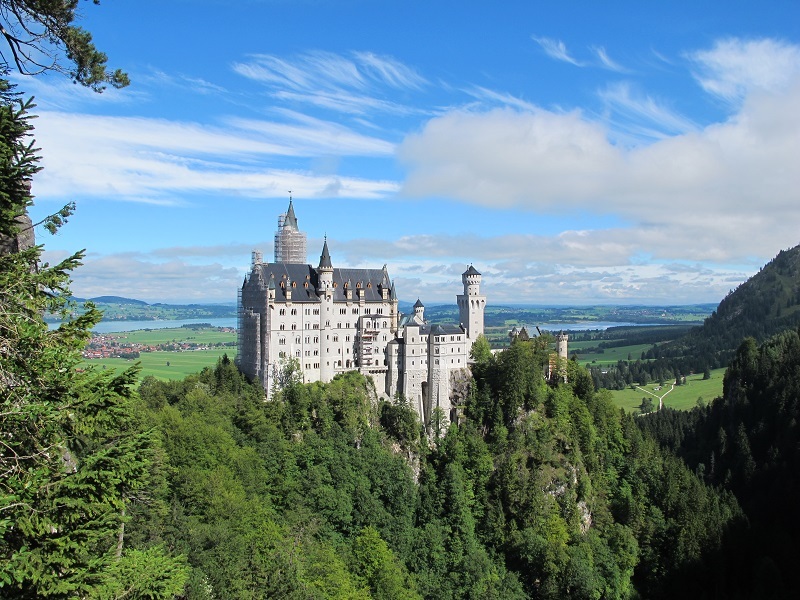 One and two nights stays are OK upon occasion and a few countries, like Ireland, lend themselves to a road trip but the major cities in Europe offer a wealth of interesting sights and you’ll want time to explore and enjoy them before moving on to the next adventure. If you don’t know where to start, don’t have time to research options, find it difficult to set priorities or are simply constrained by time or money that’s where I come in! With expert advice it can be stress free and easy to travel independently in Europe and as Totem Travel’s Europe specialist I visit the continent every year. I know all the tips and tricks and will design a customized itinerary for independent travel throughout Europe based on your wish list, budget and timeline. I can also organize a city stay, recommend an escorted tour or suggest a river cruise suited to your specific needs so please call or email if you’d like assistance planning a vacation in Europe. It would be my pleasure to help you discover Europe your way! If you crave an in depth Irish experience you’ll need weeks on the Emerald Isle but it’s possible to enjoy a great one week vacation in Ireland as long as you think about priorities and make choices before committing to flights and accommodations. Rick Steves, Frommers and Fodors suggest different itineraries for a one week vacation in Ireland but we all agree that Dublin is the #1 priority and ideal place to begin your Irish vacation. The very diverse sightseeing choices include Trinity College and The Book of Kells, fascinating and sobering Kilmainham Gaol, fun but not so sober Guinness Storehouse and St Patrick’s Cathedral. You can do all four in one full day (start with jail and end at church) but more time will allow you to enjoy an excellent historic walking tour, National Gallery, St Stephens Green and the nightlife in Temple Bar. Most visitors should plan 2-3 nights in Dublin. 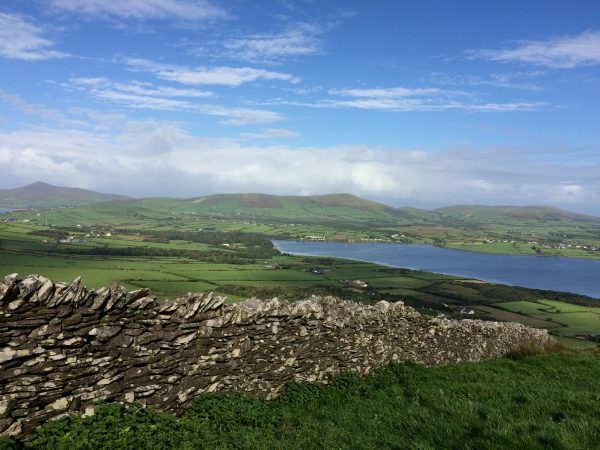 My #2 recommendation for first time visitors to Ireland would be County Kerry where you’ll find some of the most beautiful scenery in the country. 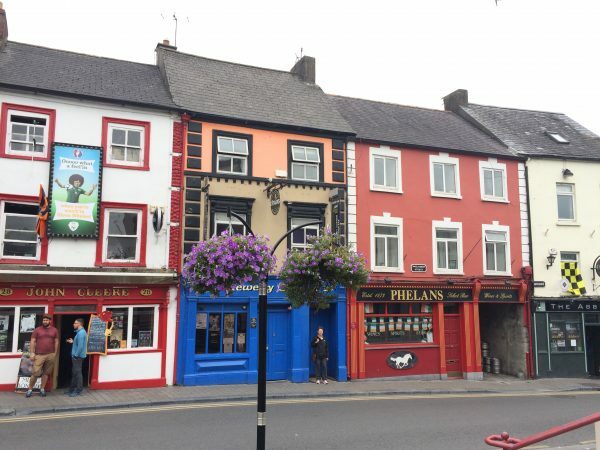 Killarney is an ideal home base to explore the Ring of Kerry, Dingle Peninsula, Killarney National Park, Skellig Michael, Muckross House and Ross Castle. A 3 night stay will allow you to see most of these sights and stop at the Rock of Cashel or Cork en route from Dublin. 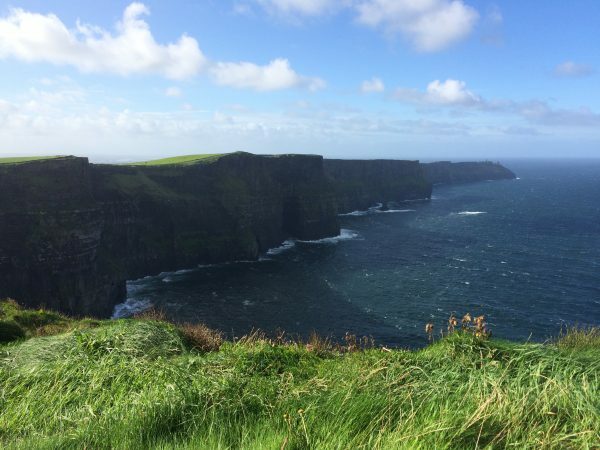 #3 on my list is County Clare with the impressive Cliffs of Moher, Bunratty Castle and other worldly Burren. Then, if time permits, add Galway before returning home after your one week Irish vacation. But a word of caution! 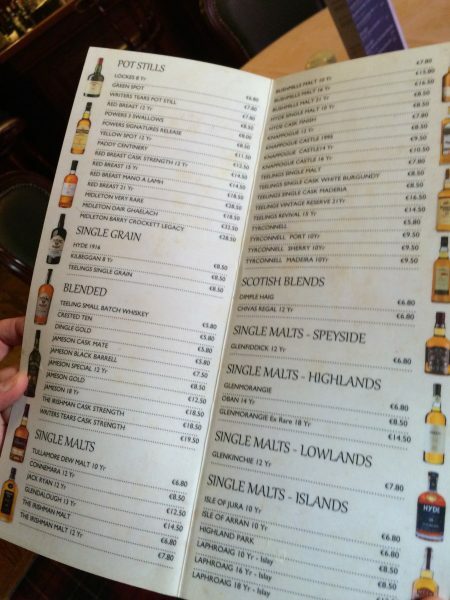 Some of the most memorable experiences I’ve had in Ireland weren’t at a tourist attraction. 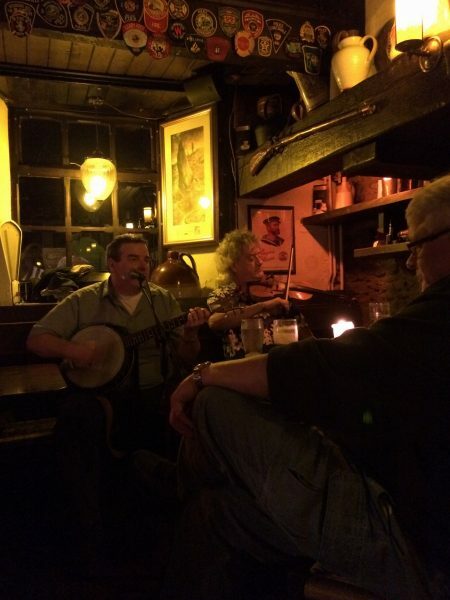 They were listening to live Irish music and sharing tall tales with the locals. 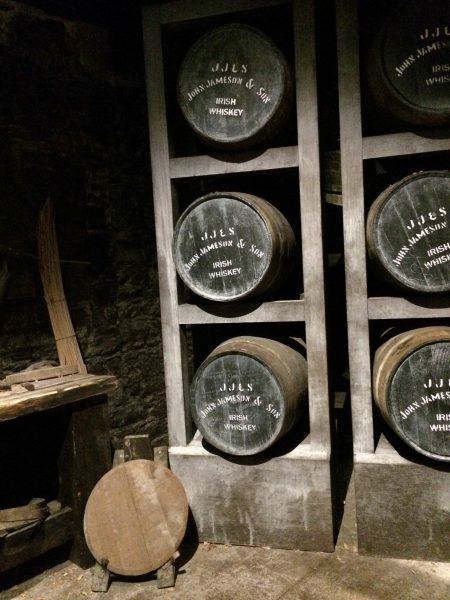 So make sure your itinerary includes time for a local pub or two and consider a whiskey tasting tour. You won’t regret it! If you’d like help planning your trip to Ireland or next European vacation please call or email linda@totemtravel.com. I’m Totem Travel’s Europe specialist and happy to help. 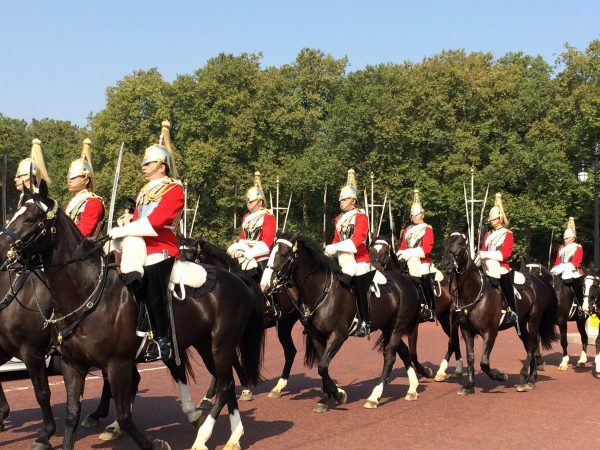 Planning to visit the country of England or Scotland? Unfortunately that’s impossible, at least not technically and not if you are a purist! That’s because neither England or Scotland is a country, they are part of the country called the United Kingdom of Great Britain and Northern Island. And if that aint confusing enough, the UK is currently part of the EU but won’t be for long and money, or currency, is a whole ‘nother thing. England – A division of the United Kingdom of Great Britain and Northern Ireland. 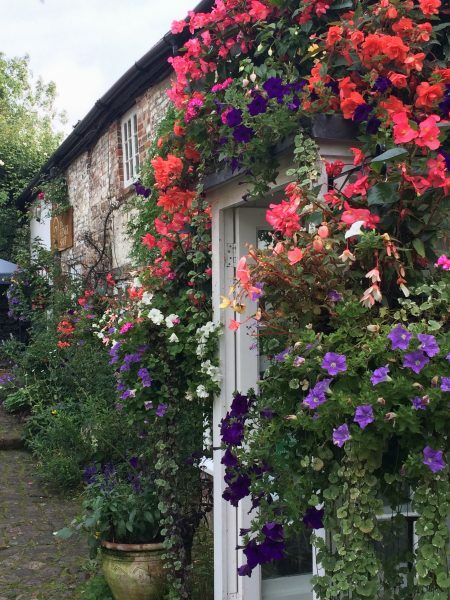 in the southern part of the island of Great Britain. Great Britain – Great Britain is an island that consists of three somewhat autonomous regions that include England, Scotland, and Wales. It is located east of Ireland and northwest of France in the Atlantic Ocean. The United Kingdom – The United Kingdom is a country that includes England, Scotland, Wales, and Northern Ireland. Its official name is “United Kingdom of Great Britain and Northern Ireland.” England, Wales, Scotland, and Northern Ireland are often mistaken as names of countries, but they are only a part of the United Kingdom. The British Isles – The British Isles is another term altogether and encompasses Great Britain, the island of Ireland, and several other smaller islands, such as the Isle of Man. The Isle of Man is not a part of the United Kingdom or the European Union, even though its Lord is the Monarch of the United Kingdom. Southern Ireland or more technically correct “The Republic of Ireland” uses the Euro. The UK which we know includes Northern Ireland, England, Scotland and Wales uses the pound sterling. And now for the really important part. I’ll be exploring the British Isles soon so watch for my posts or follow me on www.facebook.com/totemtravel for more fun and fotos! Narrow paths suspended above the sea wind along a stunningly beautiful and rugged section of Italy’s northern coast connecting five villages called Le Cinque Terre. 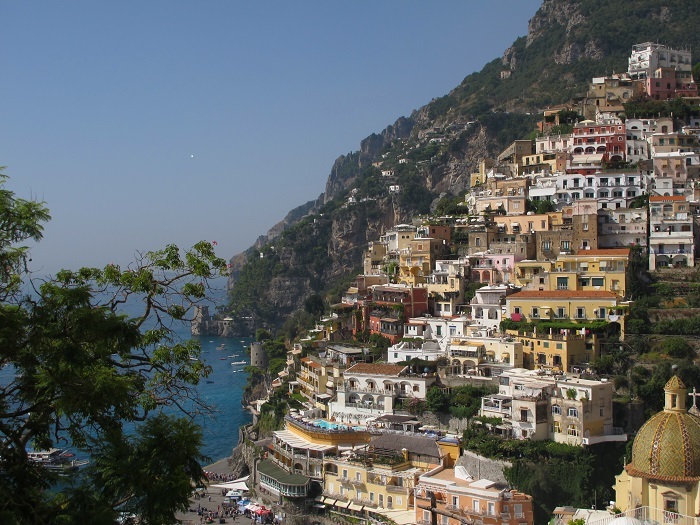 Farther south, a narrow two lane road twists and turns through the tiny towns of Positano and Amalfi with pastel buildings clinging to cliffs high above the Mediterranean. Italy’s most beautiful seaside destinations, the Amalfi Coast and Cinque Terre, have much in common. 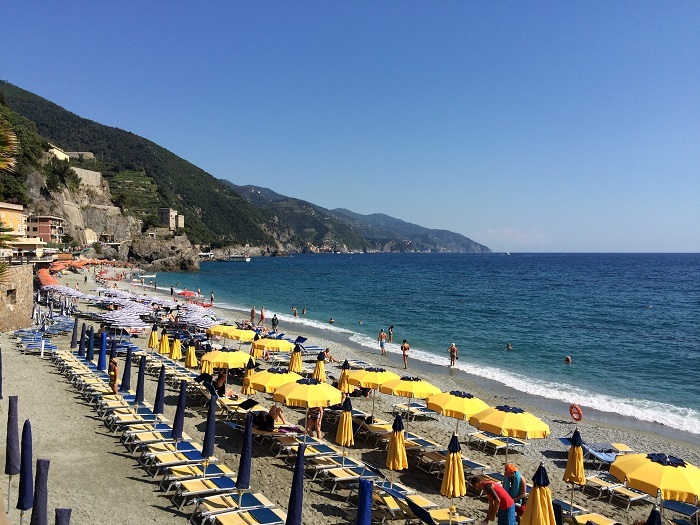 So how does the Cinque Terre compare to the Amalfi Coast and should you include a beach destination as part of your vacation in Italy? Logistics play a major role in this decision with the Cinque Terre much more accessible from Florence and Milan and the Amalfi Coast closer to Rome and Naples. But there are other factors to consider including weather patterns, what you like to do while on vacation, the style of accommodations you most enjoy and budget. Both destinations offer jaw dropping ocean views, glorious sunshine and the opportunity to relax far from the frenzy of Rome, Florence and Venice but the Cinque Terre offers a simpler, more casual vacation experience while the Amalfi Coast is more glamorous and romantic. In both locations ordinary tourists and foodies are enticed to enjoy Italy’s “slow food” and linger in cafes and restaurants with lovely views and menus filled with fresh from the net seafood, farm to table fruits and vegetables, handmade pastas, the world’s best gelato, excellent local wines, espresso in all its forms and pizza, calzone and focaccia as they were meant to be. Dining in the Cinque Terre is diverse and and it’s possible to enjoy an excellent meal with wine for $25. Amalfi Coast dining is more sophisticated and prices a bit higher but a very important note to celiac and gluten free travelers – with proper research you can dine extraordinarily well throughout Italy including the Cinque Terre and Amalfi Coast. La Dolce Vita! 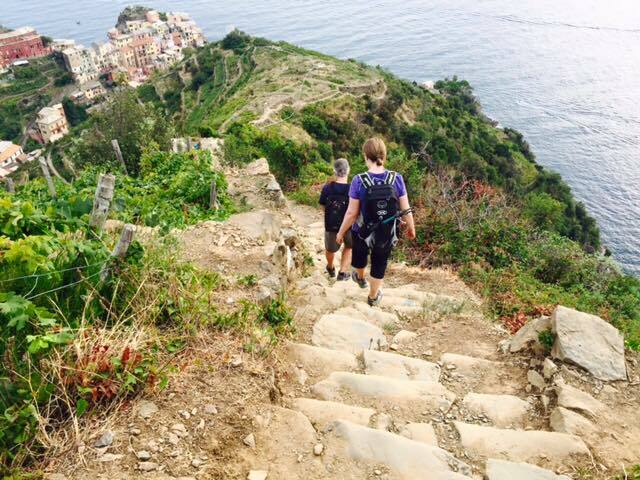 The Cinque Terre is an outstanding destination for walkers, hikers and those comfortable with clean but simple accommodations and a laid back atmosphere. For those that prefer full service hotels and resorts, Rapallo, Santa Margherita and Portofino offer more deluxe accommodations near the Cinque Terre and have easy train connections. Monterosso is the largest of the villages and an excellent base from which to explore Vernazza, Corniglia, Manarola and Riomaggiore. The public beach is large by Italian standards and several of the Cinque Terre’s best hikes begin nearby including the spectacular seaside trail and a fabulous trek from Corniglia up to Volastra then back down to the sea and Manarola with its boat filled streets. 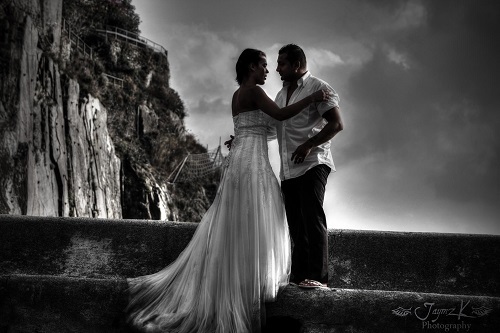 The Amalfi Coast is made for romance with a more sophisticated “James Bond” ambiance. Here you’ll find glamourous seaside resorts, upscale shopping and gourmet dining mixed with simple cafes and family run hotels. The two most famous towns along the Amalfi Coast, Positano and Amalfi, are connected by a hair raising and heart stoppingly beautiful coastal drive. The drive is best left to professionals and public buses are an inexpensive transportation choice for those not bothered by motion sickness. There is also a passenger ferry which runs between Positano and Amalfi during high season, roughly mid April through mid October, as well as private drivers and water taxis. 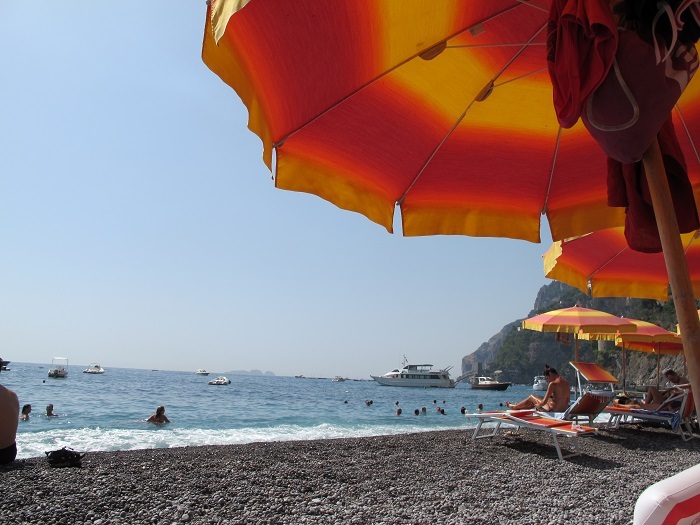 Positano is the largest of the Amalfi Coast towns and nearest the Naples airport with ample shopping, a wide range of accommodations and lovely long stretch of beach with lounge chairs and umbrellas for rent. Smaller and utterly charming Amalfi has a beautiful cathedral and piazza and connects by a short walk with tiny Atrani. Sleepy Praiano lies midway along the coast and high above the sea are the villages of Ravello, Pontone, Nocelle and Pogerola. Will children enjoy an escorted tour of Europe? Will children enjoy an escorted tour of Europe? As a general rule probably not, but there is an exception to every rule and Globus Family Travel has found the magic key to the successful family tour. Many tour companies let anyone join their family vacations, but Globus requires at least one child age 5-17 to be part of every family travel reservation. So your kids are guaranteed to have other kids along and that makes the tour more fun for everyone! Parents will connect with other parents and grandparents can do what they do best: fawn over the grandchildren! The love of travel is one of the greatest gifts you can give your children and it’s highly educational too. Kids actually visit the places they learn about in school, so history, art, architecture, even science comes to life with the help of a talented guide and life size props like the Colosseum of Rome, Big Ben in London or a castle in Bavaria! Globus Tour Directors on the family tours are individuals who truly “get kids”. They love to pass on their knowledge as well as colorful stories in a funny and engaging way that will capture even the youngest child’s attention. The emphasis is on connecting: children with other children, with parents and cultures, scenery and wildlife. All of the activities and excursions on a Globus Family Tour are geared toward the children. In London the double decker bus is used for sightseeing and a riverboat will take you to the London Eye. You will travel from London to Paris underwater via the Chunnel at 150 miles an hour! Show your family Paris from the top of the Eiffel Tower then head for the setting of the Hunchback of Notre-Dame where they can try counting the number of gargoyles! In Italy the kids can try straightening the Leaning Tower of Pisa, enjoy Venice by gondola, decorate their own Venetian Carnival Mask and watch an amazing glassblower demonstration. If Europe isn’t in the plans right now, how about a Grand Canyon adventure? Kids and adults alike will enjoy the many species of wildlife, including bighorn sheep, jackrabbits, and lots of lizards! Wouldn’t your children love a 4X4 Jeep tour of the Red Rock Country in Arizona…what fun! Everyone will be in awe taking in the sights from the Grand Canyon Rim. Or you might jump back in history to the “Old West”! Saddle up and ride a horse into Bryce Canyon retracing the trails taken by the notorious Butch Cassidy and Sundance Kid and no visit to cowboy country would be complete without a Rodeo! The kids are going to love the Bryce Canyon Country Rodeo, with mutton bustin’ and bull ridin’. These are just a few of the Globus Family Tour options so if your family is looking for a great multi-generational experience they will remember forever please call or email me to discuss an escorted tour designed for families! 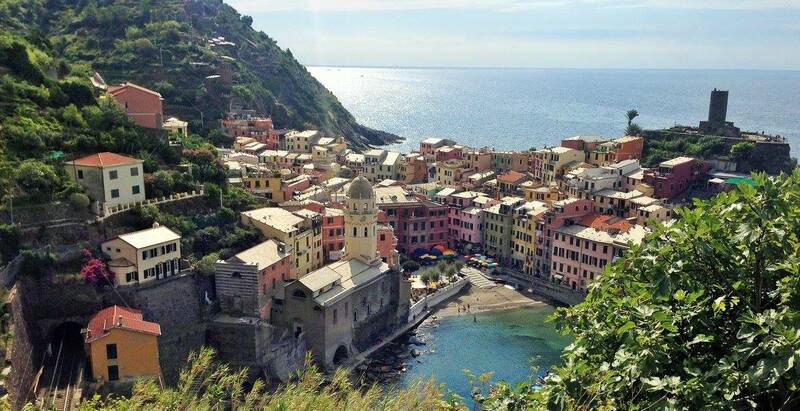 Rome is on everyone’s top 10 list for a European vacation but Italy has more to offer than the Colosseum and Vatican so consider a few days off the beaten path in timeless Cinque Terre where you’ll find five tiny villages suspended above the sea and romance in every magical corner. The Cinque Terre, on the Italian Riviera, is easily one of the most beautiful places in the world and it’s hard to believe these places are hundreds of years old and not just made for human amusement. The villages, dating from the early thirteenth century, are known for postcard perfect views, miles of spectacular walking and hiking trails, historic character, vineyards, olive groves and citrus orchards. Riomaggiore is one of the few places where it’s everything you thought it would be from the pictures. Small alley ways, small shops, hardly any signs of touristy activity. 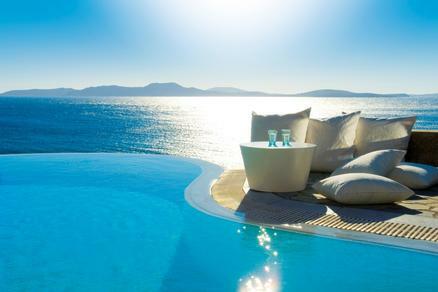 It’s virtually perfect and the Mediterranean sea kisses it’s shores like you will see many couples doing here. It did not surprise me to find a couple doing an engagement session here. It’s virtually everything you could want for scenery and ultimately compliments the romantic mood. There is not enough I can say about the Cinque Terre. It was the most peaceful place I visited in weeks of traveling through Europe and the perfect escape after Rome. If you have one place you need to experience in your life…it should be here. And if you are getting engaged, married or are a couple that needs a get away…THIS IS WHERE YOU NEED TO GO! 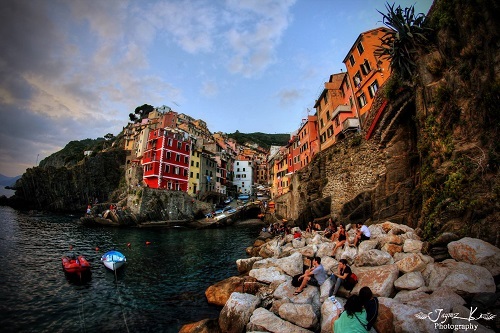 The Cinque Terre “The Five Lands” is comprised of five villages: Monterosso al Mare, Vernazza, Corniglia, Manarola and Riomaggiore. Riomaggiore is the closest to La Spezia and major train connections and the beginning of the area’s famous walks. For more information and assistance planning your vacation or honeymoon in Italy please call or email Linda Totem Travel’s Europe specialist. One more suggestion – if you are buying something expensive (e.g. jewelry, original art) use a credit card and make sure your receipt states specifics for the purchase. Fraud is not a common problem but if your emeralds turn out to be green glass most major credit cards have fraud protection and will reverse the charge if challenged and documented. I hope you find this information helpful and call or email if you need help planning the perfect vacation in Europe or Australia. My passion is helping clients get the most of every travel experience and I love designing customized itineraries to meet your special wish list whether that is wine tasting in Florence Italy or scuba diving on the Great Barrier Reef! Touring Europe has been on my wish list for a long time. The one thing that has held me back is that I want to see the small towns, and experience the local culture. Doing that on an escorted tour through Europe is one way, renting a car and driving through the countryside is another, but neither sounded like the best option for me. 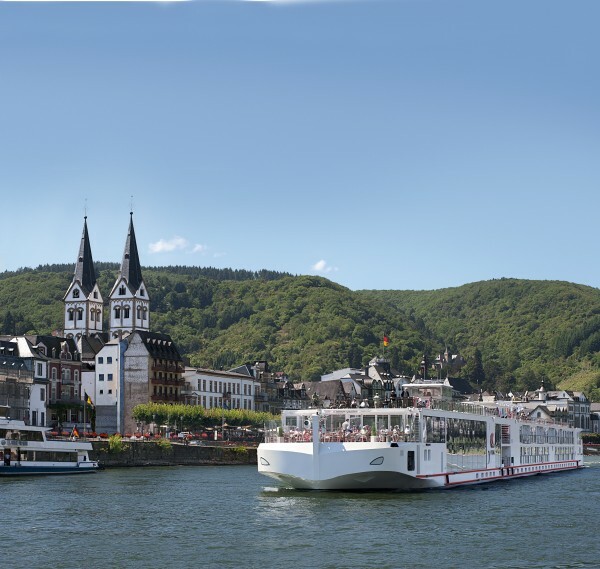 Enter: European River Cruising! This is definitely my cup of tea. I love cruising and the thought of seeing Europe close-up, and having to unpack only once, sounds like a dream come true! Imagine floating along the calm rivers, docking right in the center of an ancient village, and stepping right of the ship ready to shop in the markets, attend music performances, and enjoy the local cuisine. No long lines to disembark, no tenders into the port, and no bus rides to the village….it’s right there!! And the shore excursions are included. Local guides will lead you on wonderful tours, with a running commentary of genuine behind the scenes experiences. In additional you will have the benefit of personal headsets for the sightseeing excursions, so that you can wander through the attractions without missing any of the narration. Food is always a big part of the cruising experience! Dining on a river cruise is part of the journey. Chefs incorporate local culinary specialties paired with regional wines, into each dinner. Concerned about where to dine, and what to order, when you are touring the towns along the way? The cruise lines have thought of that too! Throughout the cruise, a local chef will come on board to prepare a special meal, so you will learn about the different dishes, and how to order them. Don’t worry….if you are a fussy eater, and prefer foods that are more familiar to you, there’s always a meat, fowl, fish, and vegetarian choice, too. Have you ever been on an ocean cruise and picked up a local wine to enjoy on board? Only to find out that there is a corkage fee (about $15-$20), or security takes the wine from you, to be returned at the end of the cruise. This won’t happen on a river cruise! They welcome your regional wine purchase, and do not charge for corkage! So enjoy! The ships are small, but include an amazing number of amenities: staterooms with balconies, heated floors in the bathroom, libraries for reading & playing board games, lounges with local entertainment, and lovely outdoor decks for watching the world go by! Some of the ships even have a beauty salons, swimming pools and fitness centers! 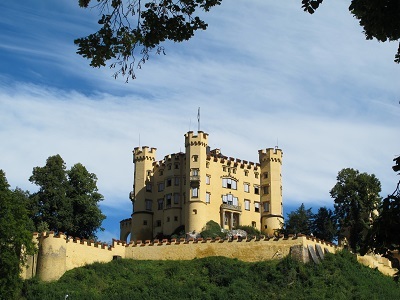 Sample cruises include tours of Holland and the spectacular tulips; wine tours in France; Eastern European cruises throughout Hungary and Romania; enjoy the sights and sounds which have inspired musicians and poets……the Danube. Themed cruises are also very popular: Wine Appreciation cruises, Jewish Heritage cruise, and a Jazz cruise to list just a few of the choices. Thanksgiving, Christmas and New Years are to be celebrated, and the river cruise lines have some wonderful options. 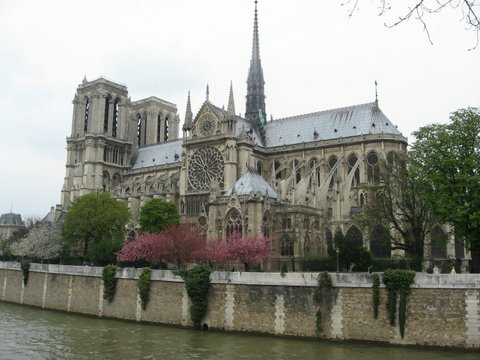 Paris ranks high on the list of European capitals to see and enjoy and many of the “must do’s” sights are obvious – the Eiffel Tower, Arc de Triomphe and Notre Dame. Most visitors also enjoy shopping on the Champs Elysees, strolling the banks of the Seine, browsing tiny shops and eateries in the Left Bank or enjoying a leisurely dinner cruise to see the City of Lights in all its glory. The French worship the food gods. They eat seasonally (don’t expect asparagus in October) and freshness is important. Day old bread is considered a mortal sin which is why people stop in the bakery on the way home to dinner. To have gotten the bread in the morning would have made it stale by dinner. Reservations – For dinner always make reservations. Period. It is sometimes advisable to make a reservation in person the first time you visit a restaurant. If you do this you can get an idea of the English fluency. A phone reservation can be chancy with both sides thinking they understand what is being said and, in reality, you have just booked a table for 27 next month. Courtesy – Turn off your phone or whatever electronic device you carry. It is extremely rude to talk on a phone in a restaurant. I have seen people asked to leave in the middle of their meal because their phone was ringing. I have also seen a man apologize to an entire room full of customers because he forgot to turn his phone off and it rang. If you can’t wait to get a call stay at home or go to Italy – they’ve got no manners. Dinner – is a 3 course meal (starter, main course, dessert) and the prices do not include, aperitifs, wine, coffee, etc. Sparkling water is also extra but still water is usually no additional charge. By law all restaurants in France must display their offerings outside the restaurant so you can get an idea of prices/food before you go inside. There will also be “le Menu”, the daily specials that offer a few (2- 5) choices for each course for a fixed price. Usually a good deal if it meets your tastes. Wine – Good wine is available at reasonable prices and if you don’t know what to order ask the waiter or, in nicer places, the sommelier. The important grades of wine are Domaine, Premier Cru, Grand Cru. About .1 of 1% of the vineyards in France are Grand Cru and are priced accordingly – very high. Premier Cru is excellent, not common and priced less then Grand Cru but still expensive. All the rest are just good wines. Some are blends and some are single grape. If you are serious do a little reading before you go because it is too late once you are in the restaurant. Sample wines from different regions as you eat different meals. The differences in the regions are huge and your tastes may direct you to a particular type of wine or region. 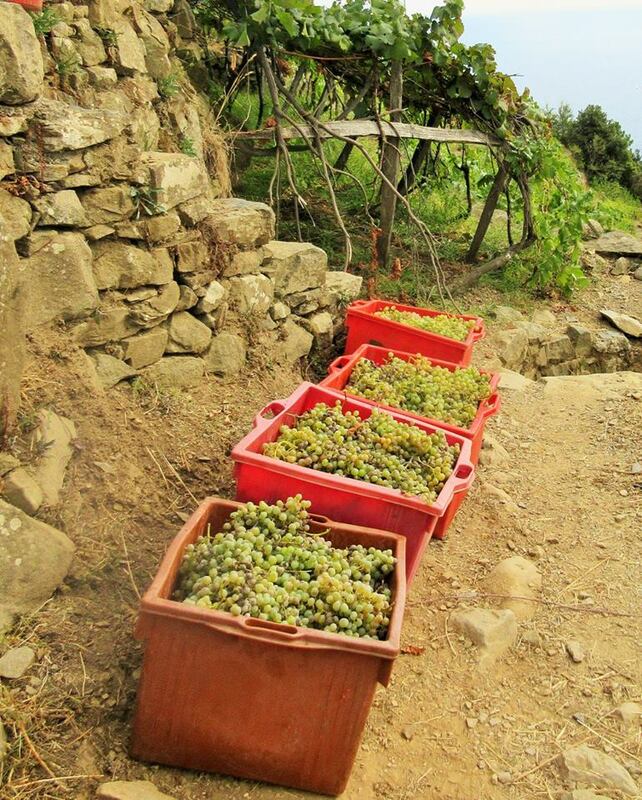 Even the differences between vineyards in a local area can be significant. Tipping – In France tips are included in the price of the meal. If you get average or poor service don’t leave anything extra. If the service is better, then leave anything up to 10% more depending on how good the service was. How helpful? Did the waiter/waitress make suggestions or guide you away from something you might not like? Did he/she go get someone else with better English? If you are in a Michelin starred restaurant then leave 20-25% unless you got poor service but that’s not likely. French credit card receipts do not have a place to add a gratuity. It would be rude to do this in their culture. The easiest thing to do is to leave cash for the tip. There are other ways but my French is not up to the task. Language – Someone else with better English (see above) may not exist. Don’t ever make a communication failure a reason for not tipping. You are in their country. If you want things like they are at home, stay at home. Take a food dictionary and carry it with you. It will save some difficult moments. Even with a food dictionary house specialties and regional preparations may not translate. Also, learn the days of the week in French. Restaurant hours/days are usually posted on the door and frequently vary by day and many places are closed at least one day a week. Time will be military style – 2:00 pm equals 1400 hours. Most of the restaurants open for lunch and close in early afternoon and then open for dinner at 7:00 or 8:00 pm. Paying – Getting the check may take some time. Just because you have finished eating/drinking does not mean you are ready to leave. You must request the check and it may take some time. Be patient, dinner is supposed to take 2 hours. Most places accept credit cards and display the standard VISA/Mastercard signs. A few places accept only debit cards or cash so always carry all three. The French bring a portable credit card reader/transmitter/printer to the table. It is considered rude/dishonest to take your credit card away from the table. Most of these machines have a stripe reader but they don’t work all that well. Have your credit card company issue you a credit card with an embedded chip before you travel and your card can be used just like European cards. It will work better, it is faster and the French will appreciate your consideration. As an independent traveler, I find Paris easy to explore with mostly safe city streets well connected by a clean, well managed metro system. Most Parisians welcome tourists and are willing and able to assist in English especially if first greeted in French. So practice your “Bon jour madame or monsieur “, pack up the food dictionary and get out and enjoy! Whether you have a weekend in Paris, a week or two in France or months to explore the top destinations in Europe, all agree that Paris should be on your itinerary. Call or email linda@totemtravel.com if you’d like help planning your European vacation.